For many Novice-level learners, writing in phrases and paragraphs can pose a challenge. They are in the “list of words” and “memorized phrases” stage on their path to proficiency. Even after several exposures with the theme through various input sessions and activities, students will look at a blank paper and freeze. Where to start? What is the first thing to say? How to organize thoughts in L2? To support and scaffold the writing experience, I provide many examples of short free writes that are geared to their target level. Samples allow them to mimic the writing by substituting their own vocabulary and phrasal knowledge into a skeleton frame. 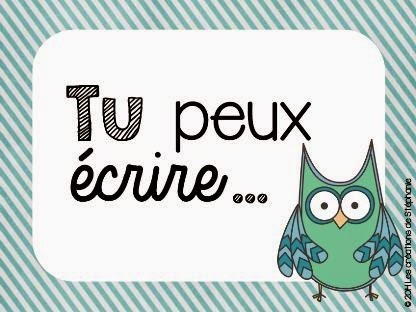 French 2 is currently in this stage in our “Tell me what you eat and I will tell you who you are” / « Dis-moi ce que tu manges et je te dirai qui tu es » unit. They have many food vocabulary words and opinion phrases that they can recognize in reading and speaking. For our recent free-write task, I created a 65-word paragraph that describes my food preferences and why I like and dislike certain foods. The writing task goals included using connectors (because, but, also, when, and, etc), the language chunk, because it is/they are (with masculine/feminine pronouns), and descriptive adjectives (delicious, sweet, sour, crunchy, etc.) that agree with the nouns they are describing. We previously have done this with simple sentences, but our new task was to level up to richer language. The students read over my example and discussed the vocabulary I chose, the connectors I used, and the varied opinion statements I employed to vary my work. 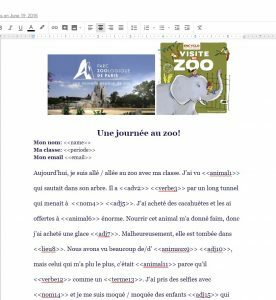 They understood the writing because it was written at their target level with expressions and words they recognize Knowing that they can use the frame of my work and plug in their ideas allowed students to begin and complete the task with less stress. Using this strategy has led to stronger confidence and growth in writing. Students even begin to ask for ways to “level up” from my sample, but we do try to keep it at an Intermediate Low-Mid level so they can reproduce it successfully over time. It is empowering for students who thought they couldn’t write more than a sentence see their paragraph level work. While it is a collaborative effort, they develop the skills to produce this level of writing. The praise I bestow upon them does help, but it is more the performance indicators that show them that they are on target for growth in proficiency for language learners across the country. 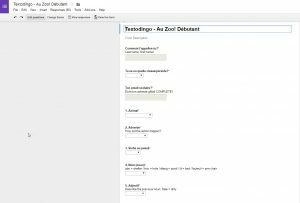 To innovate a bit on the skeleton frame, I created a MadLib format with a Google form, a Google document template, and the merge add-on, Autocrat. The frame was written on a Google document with <<brackets>> for student input. When creating the Google form, the brackets can be replaced with either multiple choice or free response options. For Novice Mid High, I would use multiple choice, but as the students develop confidence, it should be replaced with free choice. My first Google MadLib was about a trip to the zoo. The terms are listed in French, but the help section explains what is needed. I began with the story template in a Google document (click to see) and then created the Google form with the options. When creating the form, remember to add a text question that solicits users’ emails. The story is written at a slightly higher level than the students’ levels, but I believe that they should see language at multiple, more natural levels. After the template and the form are created, choose “view answers” on the Google form. While in the Google Sheets (spreadsheet), choose “Add-ons” and search for Autocrat. This video will explain how to merge the form answers with the template. It’s a one-time set up and any time a student fills out the form, he/she and you will receive a copy of the merged story as a link in their gMail. Your students’ copies will be added to the folder in which you created the template and form. Students will now have an electronic copy of the story they “wrote,” and for the next writing activity, they must use some of the structures they saw in their template story in their own writing: tense, connectors, etc. 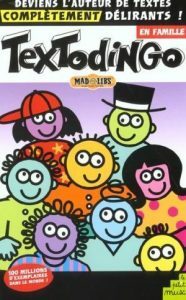 As this is a MadLibs activity, silliness is encouraged in both the template writing and the provided options! I have several more templates under development, but here are two more examples of how I am using MadLibs and writing templates at different levels. Questions or comments? 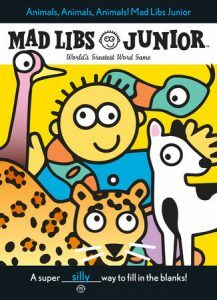 Please let us know how you use or would like to use electronic MadLibs with your students.